Nobody is the same shape. It’s a shame that big guys don’t get more press. Read on for some stylish men who break that mould and should be celebrated for their remarkable work too. Mr. Hoffman’s style was classic with touches of contemporary. He mostly liked clean lines that slimmed looking good in solid colours. He also had a good grasp of not mixing up too much colour; he would generally stick to a neutral with a bit of colour popping off that. His favourite neutral colours were black, beige and white. He used blues and denim a bit also. His style would flow from accessories, such as a baseball cap down to his shoes, which would match the outfit he was wearing. He didn’t shy away from making a bold statement with his style. 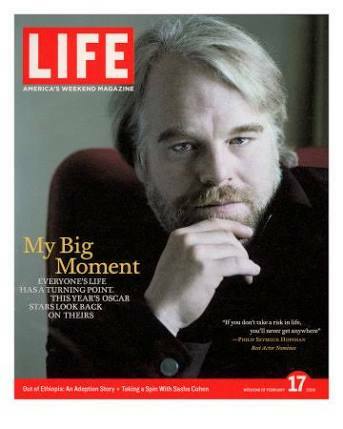 Philip Seymour Hoffman style was not baggy or ill fitted. He wore what he liked but dressed well. The fit did make his outfits work. Presenting himself in a groomed manner, he did wear shoes that matched his style. Accessories and shoes can make or break an outfit but overall his style allowed for that, not presenting himself as a slob. Apart from his wardrobe his greatest strength would be his confidence. His presentation shows a man that knew what he wanted from life, dressing to match his attitude was a strength. The aldage “clothes maketh the man” did not fall flat on Mr. Hoffman. Orson Welles is known for the 1938 legendary broadcast of “The War of the Worlds” which was later made into the film War of the Worlds, starring Tom Cruise. Welles also directed and starred in the film Citizen Kane. There was a mixed response to Orson Welles, as he liked to follow his vision. His mark on Hollywood when romance and comedy seemed to be strong in that culture. His views were his own as he bucked convention both in personal style as well as professionally. Some of that style was not typical for that time. Indeed some were considered working class. From fisherman style jumpers to heavy coats or a stripped jumper, these styles were not a part of the gentleman’s wardrobe. Like most artists, the personal presentation can indeed be an outworking of that creative nature and unique personal styling. These looks don’t just happen. They represent the person as a whole from work to relaxation. Personal dress is often seen as a part of the artist, as much as his work. Dull does not operate here. Breaking barriers and stepping out of the norm is part of his unique world. Hollywood actor Anthony Anderson, known fro Balck-ish and Law & Order, is a big guy with a lot of style. He doesn’t just wear clothing that hangs off him, making him look like he couldn’t be bothered with himself, rather he goes for a fit that suits his body shape. He likes to go for a variety of looks from bold patterns to statement men’s shoes. His casual gear doesn’t just hang off him either and when playing a round of golf, his outfit is not baggy or too tight. He dresses for the occasion. Mr. Anderson’s style doesn’t change, he knows what looks good on him and his wardrobe reflects his lifestyle. His weight has gone up and down over the years due to his diagnosis of Type Two Diabetes. His dress style hasn’t changed, though. Overall his choice of fit seems to carry him through the years as he shies away from looking baggy or lost in lose clothing. He goes to what suits him and reflects his personality. Overall, this is encouraging seeing a bigger guy embracing colour and patterns. He embraces what he likes and who he is without losing his personal style.